In my previous article I provided the steps to update records in single transaction using SQL “Table-Valued Parameter Types”. SQLBulkCopy class comes with ‘System.Data’ namespace and can be used to write/Insert data to SQL Server tables. Though there are other ways to load data into a SQL Server table (i.e., INSERT statements, for example) but ‘SQLBulkCopy’ offers a significant performance advantage. To simplify the explanation, I am taking a ‘Student’ table with 3 columns. In C# console application, prepare a ‘Data Table’ with the structure similar to ‘Student’ SQL table. Execute the code which inserts rows from ‘Data Table’ to ‘Student’ SQL table. Now lets see how to insert the CSV data to SQL table with query. Assume that you have data available in a CSV file and want to insert them as records in SQL Table. I have a class “ABC” which implements “IDisposable” interface and having below Dispose method. When I run the application I was getting “Stack Overflow” error because the Dispose() method getting called recursively and went in to an infinite loop. 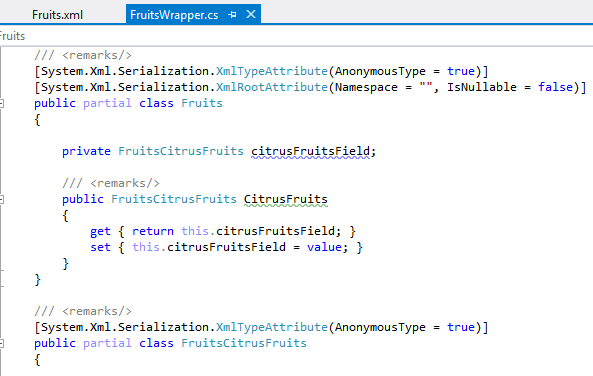 Assume you have composite XML and you want read the XML field values in your C# project, the simplest way is to convert in to Strongly type object and read as parameters. 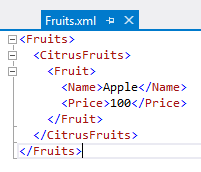 “Fruits.xml” is your XML file. Copy the XML file content. This approach is useful when you have your application’s configuration details provided in an XML file and if the file is complex and big. Note – If you don’t have “Paste Special -> Paste XML As Classes” feature in your Visual Studio, you can use XSD.exe tool to generate wrapper class from XML. We got a requirement to separate alphabets and digits from alphanumeric string as groups. When you run above code, you would get Alphabets & Digits separated as Lists.